Despite having had the psychometric field for decades, measurement-based mental health care has been the future for too long. 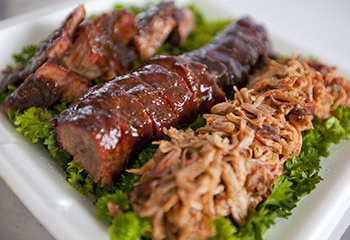 As a barbecue judge, I am told to score each offering on three aspects: flavor, aroma and texture – all from 1 to 10. The teams were also scored on chicken, spirit, side dish, and dessert. All of the scores were added up for a total score to win the team grand prize. On the barbecue alone, how to quantify flavor? How to measure aroma? How to judge texture? It’s hard but it’s possible. It’s possible and it’s needed. Without this process, no barbecue competition with its ineffable and unescapable bragging rights would be possible. All this done with good attitude, raising a team spirit for all involved. In martial arts, our sensei introduced a new individual card where each student can track his or her own progress. This tracking is needed to help students maintain their effort and to allow instructors to provide feedback on what requires more practice and attention. All this to improve how kicks and punches are done, how kata sequences are performed, and how techniques are being applied, in addition to the traditional breaking boards and endurance requirements. This quantification is needed to prepare and promote students along the path of belts and stripes. Here again, measurements are helpful as guiding posts and increasingly part of the practice of martial arts, as well as every other sport. In behavioral health, we have a great tradition of strong measurement, including the field of psychometrics. We have scales for triage, assessment, symptom severity, level of functioning, even quality of life. And yet, talking about measurement-based mental health care sounds fresh, and it’s needed because we still often practice without these tools. Despite having had the psychometric field for decades, measurement-based mental health care has been the future for too long. The most recent push to fully implement measurement-based care is the Collaborative Care Model supported by the American Psychiatric Association, summarized in the Beacon White Paper on Integration, and currently with service codes being prepared by CMS. Measurement-based care is one of the five pillars of the Collaborative Care Model. Doing so will make the system better, more accountable, and more in line with population-based practices that will prevent patients from falling through the cracks of a mammoth health care system. Among all the mental health measurements tools, we still have the challenge to choose the best instruments and implement them so that providers and patients can do it easily and see measurement’s value. Although overdue, the conversation is just starting, but ultimately, we will implement measurement-based care in the mental health system. Doing so will make the system better, more accountable, and more in line with population-based practices that will prevent patients from falling through the cracks of a mammoth health care system. Judging does not take away the pleasure of eating a good southern barbecue; scoring does not rob a round-house kick of its energy; and measuring mental health care will not eliminate the need for the human relationship that is at the core of its efficacy. It’s only part of a process that helps us humans communicate with each other in an increasingly connected world where noise and information can be overwhelming. Good measurements will help tease out noise from information and give us better barbecue, better katas, and a better mental health system.